So what am I loving today? I am loving a few things, and they all have to do with my faith. I just started opening up about my faith a couple months ago on my blog and ever since doing so, I've felt an overwhelming amount of love. I thank God everyday for the positive encouragement I receive through comments and readers but also for finding other bloggers who blog for faith. It has been a true blessing. We sang this song at church on Sunday and tears started to well in the corner of my eyes. I am at a stage in my journey where my heart is overflowing with love for the Lord. How can I ever say enough how amazing is Your love? I told Jon a couple weeks ago that there have been points in my life where God was put on the back burner. I made up excuses not to go to church, only prayed a short dinner prayer and most importantly, refused to listen to God speaking to me. I know we've all been there. I am so amazed by where I am right now. Sometimes it scares me how much I am letting Jesus take the reigns of my life. The way I am talking and listening to God without telling myself 'Ruthie that is what you should do'. I guess you could say my faith is maturing and I fall to my knees and give thanks for this feeling. I pray that this is not just a season of my faith but an everlasting change. I scribbled down a few verses during church last week and wanted to share them. Another thing I am loving right now is the fellowship we've found in our new small group. Our small group continues a discussion from Sunday's sermon and we are currently in a series with 20 other Austin churches called Walls. We are trying to dig up what walls we throw up to keep us from our Father. I can talk to my husband all day about my walk with Christ or what I feel is keeping from Him but nothing compares to listening to others who are in a totally different stage of their walk. God works in amazing ways. And I trust that he is putting people and experiences into our lives for a reason. We may not know that reason just yet. If you're a blogger, were you a little nervous to open up about your faith on your blog? I am so glad I finally did! Where are you on your walk with Christ? Does He have your full trust or are you in a time of questioning? I love reading your blog especially about faith! 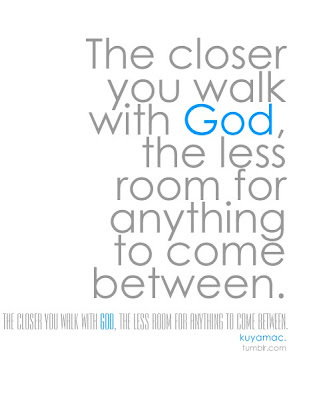 something I am learning to live by is "let go and let God". It's so powerful! 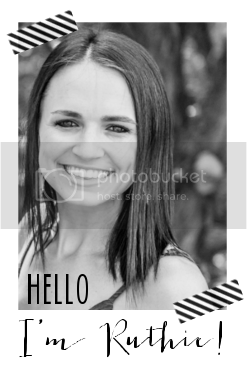 I love your blog and your heart :) I created my blog recently for the sole purpose of sharing my faith with others. I was nervous at first, but I am finding such fulfillment and joy from doing so. :) Thanks for sharing whats on your heart! Thanks for sharing this girl. 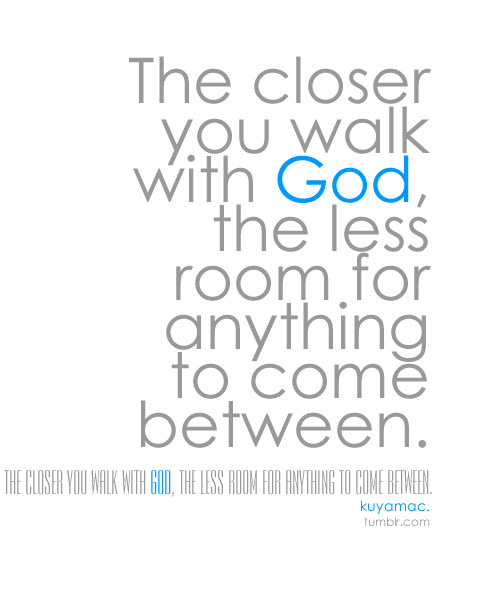 I have had times where I have God front and center and times when I stray. For the past several months I keep saying I want to find a new church and make it the center of my life. I havent yet. I still have a relationship with the Lord but it is not as strong of one as I'd like. This post was so encouraging. Thanks!! Ruthie, this is awesome. You go girl, for being bold & proud of being a child of the King! So proud of you. 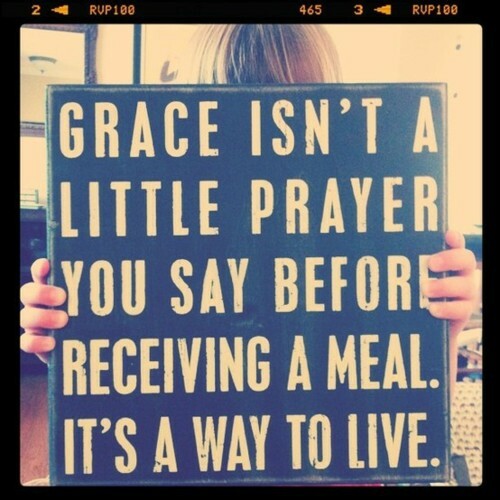 Love that grace quote... sooo good. And love those verses, too. When I started blogging, I never imagined that I would talk about my God and my faith as much as I do. God works in amazing ways that are beyond our comprehension, and I don't think we will ever know the potential impact that we are having on peoples lives. Keep on shining, girl!!! This is beautiful!! I LOVE hearing your heart!! Yes!! I talk more about my faith and God on my blog than I do in real life and that bothers me. I am so comfortable with what I feel and what I know and I felt awkward at first to write about it but now I feel so much closer to God for doing so. I love Chris Tomlin's worship songs!!! Do you mind if I ask what church you go to in Austin? I go to the Austin Stone. I love seeing your heart Ruthie! The maturing (sanctifying) process is just that-a process! I'm praying with you for the change to put down roots and for it to be permanent :) Love this girl! Love those verses! And, to answer your first question, YES, I was hesitant to open up about my faith on my blog too. Reading other women's experiences with God and their faith has changed some of that and given me courage I didn't have before. Thank you for your writing. I am so blessed by you dear girl! First - I've never wavered in my relationship with God but I do have trouble sometimes with the church and the politics that seem to surround it so much. I find that when I'm writing something for my blog I use examples of how God/faith/prayer has helped me through a hard time or how grateful I am for the things in my life, rather than talking directly about God. 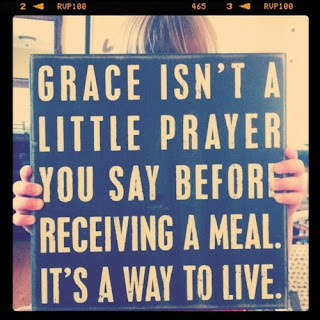 I know there are some people who don't feel the way we all do about God (at least not yet!) There are so many wonderful people in the world who are a little lost when it comes to faith, so I hope that in blogging about it this way, they'll come to God on their own, through my examples. love your verses - and yes small groups can be AMAZING and a key part of helping you grow in your faith! I have always blogged my faith - the good the bad the ugly the questioning...but its always been a HUGE part of my life, and my blog is very much about ME as a person, so it wouldn't have felt right to NOT blog it. my latest post is a huge part of my faith blogging. i am SO glad for you that you are feeling freedom to open up! may you continue to receive huge blessings as you share more and more! I'm not nervous about sharing my faith, because I see so many others doing it through blogging. If you're living your life around it, it's bound to come up eventually! I'm new to the small group scene too and I'm very excited about it. Actually having to think out an answer and verbalize it is really making me evaluate where I stand with God. Those verses were very encouraging to me. Especially the one about come unto me all who are burdened. I am a blogger that has not shared about my faith on my blog as yet. Probably not because I am afraid, but just because I have not felt the need to do that yet. You never know, the time may come sooner than we think. LOVE LOVE LOVE this pretty girl!!!! & i love the chris tomlin song like whoa! love you! oh i forgot to say! chris tomlin's song "indescribable" you should look it up if you haven't heard it, makes me tear up every time! so amazing. I have always enjoyed blogs that are driven by faith; it's been such an amazing experience to connect with so many beautiful women who share in my love for the Lord and who encourage me to blog openly about my faith. The friendships I have made through blogging are just as important to me as my "real life" friends and I am so grateful for each of them; they inspire me in so many ways. As for my walk with Christ, there is so much I feel I can do to improve my relationship with Him; I continue to make mistakes (ie: trying to live my life for me rather than for Him), but I am grateful for a Father who forgives, because I am still learning! Anyway, I just wanted to say hello and let you know I'm following along. :) I hope you are having a beautiful week! Sometimes it scares me how much I am letting Jesus take the reigns of my life. The way I am talking and listening to God without telling myself 'Ruthie that is what you should do'. You inspire me in my own journey to surrender, wholly and completely!